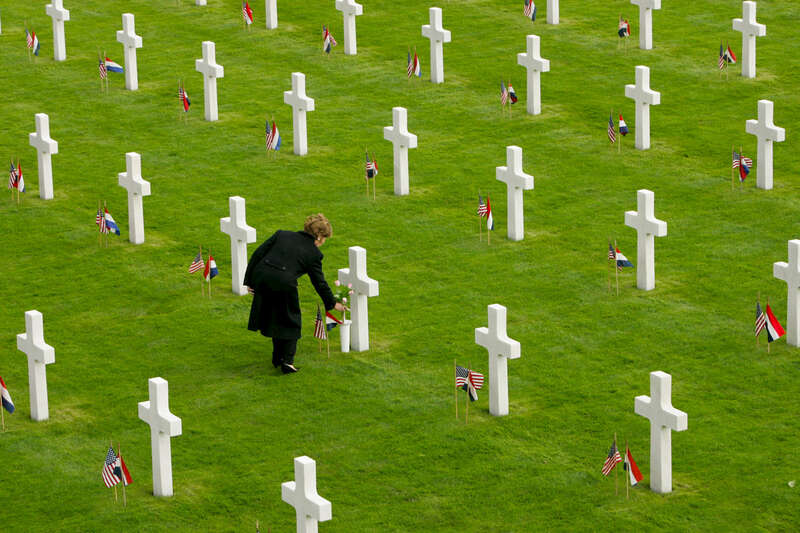 President Bush, Laura Bush: Netherlands American Cemetery and Memorial. Margraten, Netherlands. Mrs. Bush lays flowers at the grave of Francis A. Pate, TEC 5, Illinois, from the 104th Division.